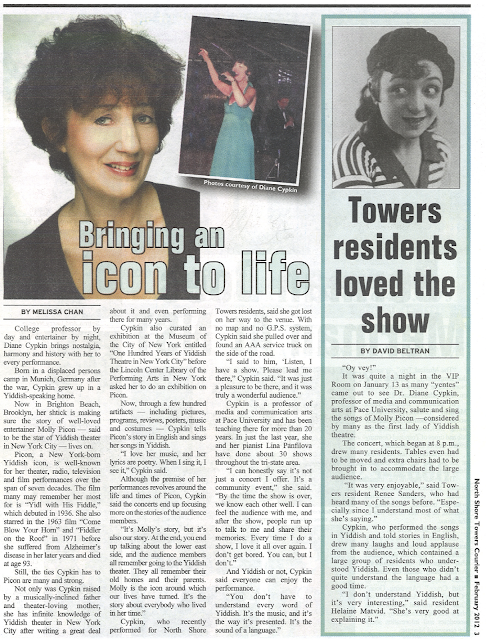 Join Us for A Musical Salute to Molly Picon, Star of the Yiddish Theatre! Dr. Diane Cypkin has appeared in many Yiddish language musical productions spanning more than two decades. In a “Musical Salute to Molly Picon, Star of the Yiddish Theatre!” Dr. Cypkin tells—through English narration—the life story of this exciting First Lady of the Yiddish Stage through the countless songs she sang and often wrote during her many, many years on the Yiddish stage. Indeed, the concert is a cornucopia, a beautiful bouquet, of tangos, waltzes, and fox-trots, that will have you humming for days. In sum, the concert is a tribute to a legend! 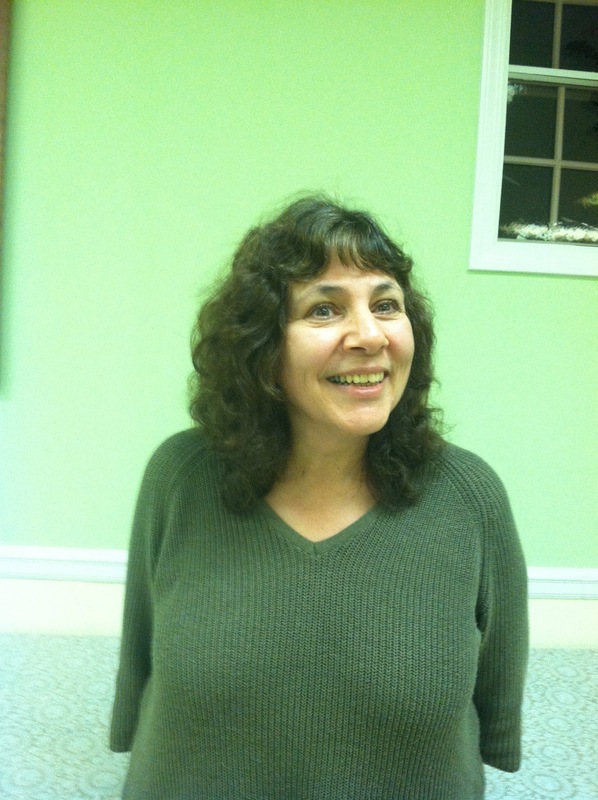 Dr. Diane Cypkin has appeared in many Yiddish language musical productions spanning more than two decades. She was Sheyne, opposite Joseph Buloff in Ossip Dymov’s Yoshke Muzikant (Joseph the Musician) at the Folksbiene Playhouse; Beylke, David Opatoshu’s daughter, in Sholom Aleichem’s Dos Groyse Gevins (The Big Winner) at the Eden Theatre; Gitale in Ben Bonus’s production of Light, Lively, and Yiddish at the Belasco Theatre on Broadway; and Tsirl in the Mary Soriano presentation Di Yidishe Tsigaynerke (The Jewish Gypsy) at Town Hall in New York. Dr. Cypkin has done a great deal of concert work. Some highlights: in New York, in conjunction with her exhibition at Lincoln Center entitled, Molly Picon: Yiddish Star, American Star; she presented a lecture/concert on “Molly Picon and Her Yiddish Music”; in Washington DC, she gave a concert of her father’s—Abraham Cypkin’s—songs at the United States Holocaust Memorial Museum when the museum presented an exhibition on the Kovno Ghetto of Lithuania. Diane is a child of survivors. In 1981, she sang at the World Gathering of Holocaust Survivors in Jerusalem, Israel. 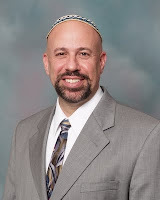 Dr. Cypkin has worked in the English-speaking theatre as both singer and actor in shows at the Soho Repertory Theatre, the New York Theatre Workshop, the Jan Hus Playhouse, and the Three Muses Theatre. In addition, she has directed productions of The World of Sholom Aleichem, The Theatre of Peretz, and Green Fields. On the academic side, in 2007, she curated the aforementioned exceptionally well-received exhibition at Lincoln Center, New York on Molly Picon. For almost ten years she was Yiddish Theatre Consultant at the Museum of the City of New York and curated the highly successful exhibition, A Celebration: 100 Years of Yiddish Theatre in New York. For the past twenty years, Dr. Cypkin has reviewed books for Martyrdom and Resistance, a newspaper published by Yad Vashem. Dr. Cypkin is presently Professor of Media, Communication, and Visual Arts at Pace University in New York. She has been there twenty years. She is a recipient of the Kenan Award for Teaching Excellence and the Pace University President’s “Extra Mile” Award. In a “Musical Salute to Molly Picon, Star of the Yiddish Theatre!” Dr. Cypkin tells—through English narration—the life story of this exciting First Lady of the Yiddish Stage through the countless songs she sang and often wrote during her many, many years on the Yiddish stage. Indeed, the concert is a cornucopia, a beautiful bouquet, of tangos, waltzes, and fox-trots, that will have you humming for days. In sum, the concert is a tribute to a legend! As a small but dispersed people, it has always been fascinating to observe where Jews live. When many of us travel we seek out the Jewish communities in the places we find ourselves. I am no exception and I have been privileged to journey to some far flung locales around the world. I have visited the northernmost synagogue in the world (Trondheim, Norway) and the southernmost (Dunedin, New Zealand). I have seen the site of the oldest known Jewish community of the diaspora (Elephantine Island, Egypt) and one of the earliest diaspora synagogues (Sardis, Turkey). I have admired the stunning edifice in Toledo, Spain that was first a great synagogue, then a mosque, then a church. On the island of St. Thomas I visited one of three Caribbean synagogues with sand covered floors. But truth be told, the once far reaching Jewish dispersion is dramatically shrinking. Today over 12 of the 14 million Jews in the world live in just two countries, Israel and America. More than half the world’s Jewish population live in only six metropolitan areas: Tel Aviv (3.2 million), New York (2.0 million), Haifa (708,000), Jerusalem (687,000), Los Angeles (662,000) and Miami (535,000). Remarkably only one other city in the world outside of Israel and America still has a Jewish population over a quarter million (Paris). Former contenders, such as London, Moscow, Buenos Aires, and Toronto no longer meet this threshold. By contrast, in addition to NY, LA and Miami, Philadelphia, Baltimore/DC, Chicago, Boston and Atlanta exceed that mark. And besides the big two, no other country’s total Jewish population even exceeds half a million, as witnessed by the next on the list: France (483,500), Canada (375,000), United Kingdom (292,000), Russia (205,000) and Argentina (182,300). Before the Holocaust, Poland alone had 3 million Jews. The Former Soviet Union exceeded 2 million. Romania, Germany and Hungary contained more than a half a million each. In fact, Europe numbered more than 9.5 million Jews. Today all of Europe has barely over a million. It is sobering to remember that the world Jewish population in 1933 was 15.3 million. Eighty years later we have still not replaced our pre-Holocaust numbers. It is also humbling to note that in the world’s two most populous nations, China (1.3 billion) and India (1.2 billion) Jews are not even a dot on the map. There are a miniscule 1500 and 5000 Jews in those countries respectfully. The great Sephardic Diaspora is no more, and Jews are almost completely absent from the Muslim world. While token communities exist throughout the globe, only a dozen countries in the world have a Jewish community of more than 75,000. These precipitously declining numbers raise real questions about the sustainability of the Jewish diaspora as we know it in the coming decades. I am sure that Jews from Paris, London, Cape Town and Toronto will object, perhaps joined by Buenos Aires and Sydney. True, Jewish life has never been about numbers alone. A select few other countries will continue to house vibrant Jewish communities. But the future increasingly looks like a two horse race, with Israel now in the lead, America trailing close behind (but losing ground), and the rest of the field dropping out. Not everyone will lament the disappearance of the historic Jewish diaspora. After all, for Zionists the emergence of the Jewish State as the largest Jewish community is a triumph. For others, as a land of unprecedented freedom and opportunity, it is altogether fitting that the United States remains the only other Jewish community of consequence besides Israel. Even before the two unparalleled occurrences of the 20th century, the Holocaust and the creation of modern Israel, Jews were migrating by the droves to our shores, two million alone between 1880 and the start of the First World War. This trio of tumultuous events- emigration, annihilation, and restoration has profoundly reshaped the Jewish world. Demographically one can argue that we are witnessing the greatest change since the destruction of the Second Temple and ancient Israel two thousand years ago. Our situation is unique in that we now behold a bi-polar Jewish world (no psychological commentary intended) that revolves around a double axis- a Jewish homeland and a second “promised land”. Like it or not we are reaching the end of the Jewish Diaspora as we know it. Will the new configuration endure? Will it be a grand third stage of Jewish history, or will high assimilation and low birth rate doom the American Jewish community to a rapid demise, leaving Israel once again the home to the vast majority of the world’s Jews? Of course, only time will tell, but the debate about what should happen is only getting started. Every day, as we look around, listen and read, we find ways of being able to help others. Here are some which the Social Action Committee has adopted. *Food-nonperishable - Always a great need for this. Please bring to the temple whenever you come. This is an ongoing collection. *Eye glasses [old, unused]—These will be given to the Lions of Leonia who donate to people throughout the world. There is a basket in the hall outside of the sanctuary. *Pop tabs off cans, such as from soda—Easy to collect and does not cost extra $$$$! Just take off the tab that is pulled to open the can. These will be brought to the Ronald McDonald House in New Brunswick, then taken to a recycling center and sold for their metal content. The RMc House uses the money to offset costs, especially since many people can't pay to use the facility. Containers will be set up in the temple soon. Meanwhile, please start saving! Maybe you can start a collection at work or ask friends, etc., etc. So, what are you doing December 23, 2013? Okay, so it's a loooong way off, but it's coming! We will be cooking for and serving dinner at the shelter in Hackensack. Nothing on your calendar? Please then, at least pencil us in, okay? Okay! And I know that our annual Congregational Meeting is not one of the most popular events on our calendar. Not as popular as our bar or bat mitzvah ceremonies or holiday celebrations. Not as popular as one of our concerts or special presentations. Not as popular as our adult education programs or religious school classes. Not as popular as Shabbat evening services of Torah study sessions with Rabbi Schwartz. Not even as popular as eating matzah on Passover or fasting on Yom Kippur. Not very popular at all. But I want to make a special appeal to you. Come. We'll serve snacks. Come, and learn more about how our congregation functions as an organization, and a nonprofit corporation. Come and learn about our by-laws and the way that we do business. Come and ask questions. Come and discuss your concerns. We genuinely want to listen to what you have to say. About what we could be doing better. And maybe about what you think we're doing well. Come and vote. Take part in our American congregation's democratic process. Sure, you can give your proxy to someone else, but it's so much better when you're there to cast your own vote. Year after year after year, only a handful of congregants show up for our Annual Meeting. I know it's not because you don't care. I know you're busy, that we're all busy. I know things seem to work fine without much participation from most of you. But we can do better. As members, and as citizens of this congregation. I am asking you to consider your civic responsibility to Adas Emuno. Join us this June. Let us come together as a community, and live up to our name, as the Congregation of the Faithful. This is my appeal to you. Let's meetup! Let's talk! Let's show each other how much we care about our little shul on the hill. Come to our annual Congregational Meeting. Give us just one hour of your time. It's not asking for much. I look forward to seeing you there. If you have never heard the story of Ilan Ramon, then you really ought to find an hour's worth of free time to watch the PBS documentary, Space Shuttle Columbia: Mission of Hope. The film premiered on January 31st of this year, and is available for viewing online on the PBS website, or right here, through the good graces of the PBS network. The documentary is directed by Daniel Cohen and produced by Christopher G. Cowen with Executive Producers Tom Hanks, Gary Goetzman and Mark Herzog. The film was produced by Herzog & Company/HCO and West Street Productions and presented by Playtone. Space Shuttle Columbia: Mission of Hope is the untold story of Colonel Ilan Ramon, a fighter pilot and son of Holocaust survivors who became the first and only astronaut from Israel, embarking on a mission with the most diverse shuttle crew ever to explore space. Ramon realized the significance of “being the first” and his journey of self-discovery turned into a mission to tell the world a powerful story about the resilience of the human spirit. Although the seven astronauts of the Columbia perished on February 1, 2003, a remarkable story of hope, friendship across cultures, and an enduring faith emerged. The film premieres in conjunction with the 10th anniversary of the disaster and NASA’s annual Day of Remembrance. Space Shuttle Columbia: Mission of Hope includes drawings from the concentration camp made in secret by a camp inmate, and archival NASA footage of the astronauts as they prepared for their mission. Interviewees include Ilan Ramon’s widow, Rona Ramon, and other Columbia crew family members; astronaut Garrett Reisman and other members of NASA’s space program; Canadian astronaut Steve MacLean; former Israeli Prime Minister Shimon Peres and many others. The film was shot on location throughout the world, from Jerusalem to the Kennedy Space Center to Washington, D.C.
Also included is personal video shot by Dave Brown, one of the Columbia’s crew of men and women who, although from different backgrounds, became a true family, warmly embracing each other and Ramon and his mission. This is truly a story capturing the spirit of Hatikvah, from the darkest night of the Shoah, to the bright light of the stars up in the heavens. 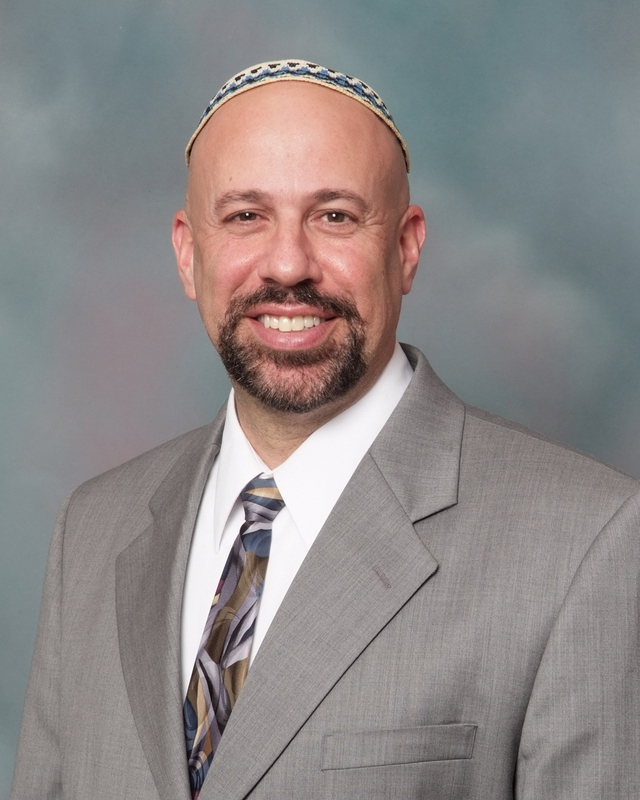 Today's Torah study reminded me of our Rabbi's recent lecture at the JCC in Tenafly, about Reform Judaism. One of the founders of that movement, Rabbi Abraham Geiger, asked, "how much longer can we continue this deceit, to expound the stories from the Bible from the pulpits over and over again as actual historical happenings ...? All laws and all prayers that are unworthy or irrelevant should be eliminated." What would Geiger say about the text we read and discussed today, Emor from Leviticus? He would probably be for the elimination of at least 80% of it, for replacement with something more relevant to modern preoccupations, or for a deeper debate of the remaining 20%. I agree with such an approach, and that is why I am glad that the weekly parshah is studied only occasionally, in our temple. Let me share what our Rabbi quoted in his book Judaism's Great Debates. On page 85 I see the following fragment from the first major statement of Reform Judaism in the United States (1875). We hold that all such Mosaic and Rabbinic laws as regulate diet, priestly purity and dress originated in ages and under the influence of ideas altogether foreign to our present mental and spiritual state. They fail to impress the modern Jew with a spirit of priestly holiness; and their observance in our day is apt rather to obstruct than to further modern spiritual evaluation. Yes, weekly discussions of Torah should help us to acquire a modern spiritual evaluation of the world in which we live.